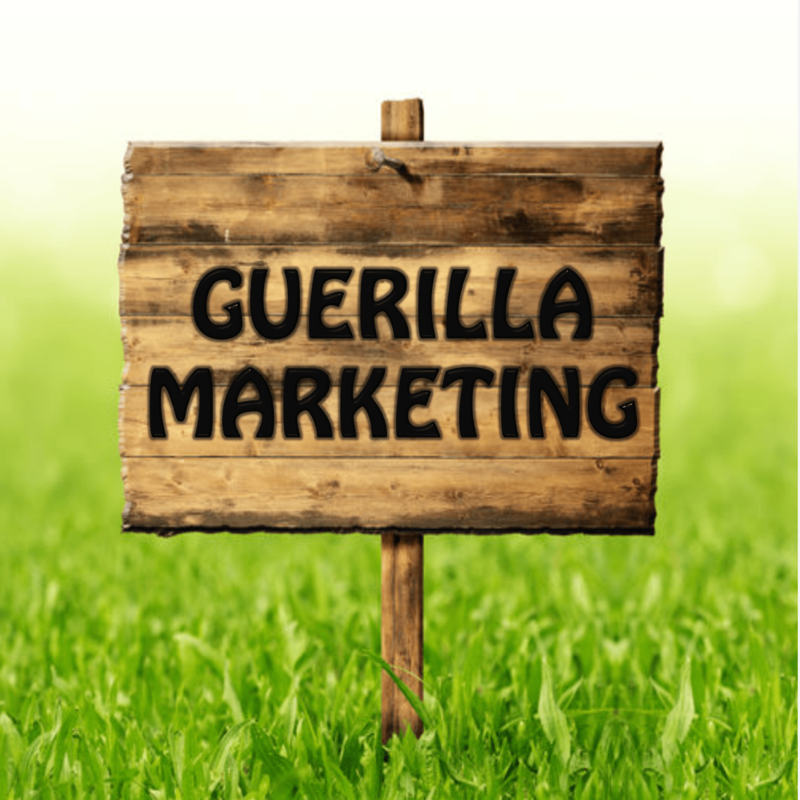 Guerrilla MARKETING | The battlefield of online engagement is a muddy. If a website is online and no one sees it, does it really exist? Digital marketing is absolutely essential to any online inbound marketing strategy. Regardless of whether your goal is lead generation, client service, sales support or even simply maintaining a basic web presence, the more “alive” your online presence feels, the more effective it’s going to be. Because there are so many facets to digital marketing Swoboda Marketing takes a unique approach that I call “Guerrilla Marketing Calendar”. The pattern you’re seeing speaks to the fact that no single strategy should operate on its own. If you want to do email marketing, you’ll be much more effective by adding video. If you’re going to start posting on social media, you need to create visual content. Just because you want to rank organically (SEO), doesn’t mean you shouldn’t do PPC; in fact, PPC tends to inform and improve the SEO process by providing proof of concept around key phrase strategies. 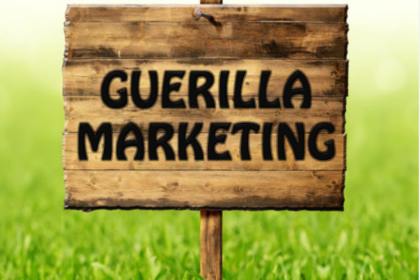 My Guerrilla marketing approach increases the value of your marketing effort by many multiples through the synergy of combined proficiency towards a single goal. If you were to hire an email marketing firm you would still need someone to provide written content, graphic design and video production. The same goes for social media marketing. Guess what? With my Guerrilla Marketing Calendar, you can tackle all of those services in house! Taking my Guerrilla Marketing approach to your digital inbound marketing strategy ensures the highest level of success and engagement. Instead of trying to run fractured, “island” initiatives in independent silos, everything we do together is done in an environment where each new process and initiative helps supplement every other strategy and approach. While there are many reasons to have a strong presence on a multitude of online properties, the only digital tool that you have complete and total control over is your own website; your ability to engage and convert users is exponentially more potent when they’re on your home court. Where online profiles like Facebook, Instagram, LinkedIn and Twitter (in order to protect the integrity of their community’s aggregate experience) have very specific guidelines and functions, your website can and should be custom tailored to engage your users on your terms allowing you to capitalize on your viewership and ensure the highest possible conversion rate. I’m assuming you’ve heard the term SEO (search engine optimization) – this is a process geared toward making your website the most “relevant” result for a specific key phrase (or phrases) in the eyes of major search engines (i.e. – the almighty Lord Google). If you’re interested, you can dive more deeply into the intricacies of SEO. It’s important to touch upon here because before we could begin this all important and exceptionally tedious process, I had to ensure that your website was actually optimizable, which it is. This means your site was well built with clean, transparent code, quick to load and best practice compliant. You have seven seconds. Statistically a user will decide whether or not to stay on your website within seven seconds which means is you need to build your website with immediate engagement in mind. Your website needs to clearly and succinctly deliver your target message in a way that allows users to immediately qualify your web application as pertinent to their search. This means ensuring that your highest value information is delivered above the fold (meaning they don’t have to scroll down to see it), is easily identifiable and displayed in ways that help capture your user’s attention and illustrate your main points. Images, videos, bullet points and infographics are extremely valuable tools to this end and should be built with the idea that they must capture a user’s attention before earning the right to educate the user any further than the initial seven seconds. A mistake many marketers continue to make is focusing primarily (and often solely) on the homepage of their site while leaving internal pages sparse and void of engagement. Remember that the great and mighty Google has made it its mission to get its users to the end result as fast as possible meaning that, very often, they’ll be linked to an internal page or blog post on your site and bypass the homepage entirely. Every page on your website (and especially your blog) needs to be built with targeted engagement in mind. User conversion is absolutely key to an effective guerilla marketing strategy. Conversion and engagement go hand in hand; if a user is engaged the logical next step is conversion. Your website is not a static, informational brochure meant to host information online for your users to browse at their leisure. Your site should be built with the intention of converting users into active and ongoing members of your own personal digital community. But what does it mean to “convert” a user? Conversion refers to any action taken by the user that assists in your ability to engage them further. Converting users is the first step in “filling your funnel” and beginning the sales cycle required to turn users into prospects and prospects into customers. There are three layers to your sales funnel (top, middle and bottom) and all three should be serviced through consistent conversion points throughout your website. An important thing to remember is that your conversion points should be specific to the area of the website within which they are housed. The battlefield of online engagement is a muddy, uphill slope that has left many a marketer bruised and beaten. Videos are the not-so-secret weapon to online engagement. Videos increase conversion rates by as much as 80%, increase time spent on site by as much as two minutes and are 50 times more likely to get organic page ranks. Yes, you read that correctly – 50 times more likely (that’s 50x not 50%) to rank than content alone. Whoa. You have a services page and we need to make sure to have conversion points geared toward further defining your services. Conversely, your service pages need to house conversion points such as case studies, videos or testimonials better suited to the service section’s topic. A “top of the funnel” conversion point is typically a very broad and (dare I say) general offering that helps convert users who are in the beginning stages of their due diligence process. More often than not these top of the funnel offerings are geared toward education and clarification. It can be something as simple as a high value blog or article and as intricate as an eBook or whitepaper meant to explain one of your key topics or core competencies. It’s critical that any content you provide as a conversion point is high value enough to your target user to trade their email address for. Please consider this your new gold standard: “Is my [insert content type] valuable enough for a user to be willing to give me their email address for?” If the answer is no, then you’re not giving enough – you have to give to get in the realm of inbound marketing. Remember to stay far away from a sales pitch when creating content meant to convert. Try to provide your users with information as though you were an independent and objective consultant giving advice on the industry. This approach is the most effective at building trust and establishing credibility as a thought leader. Where a top of the funnel offer is meant to incite interest and/or educate a user, a “middle of the funnel” offering is geared towards assisting users who have moved further along the sales cycle in making specific decisions. These offers are more focused and need to be geared toward advancing the user toward the bottom of your sales funnel. Bottom of the funnel offerings almost always entail direct interaction with a user on a one-on-one basis. These users are presumably ready to sign up and have been well educated on your specific services, the value they will receive in its use and your organization’s methodology and value-add compared to your competitors. Bottom of the funnel offerings and conversion points are the highest value and most time-consuming service you can provide. It’s important that you qualify your users prior to leading them this far down the sales funnel in order to ensure that you’re not wasting their time or your own. Together we will create a complete list of potential offerings for each section of the sales funnel. While you’ve probably heard of nurture tracks this particular “nurture” section pertains directly to your website and its ability to keep your users continuously engaged and, within the scope and feasibility of your industry, constantly coming back. In order to function adequately as a nurture resource your website needs to be organic and constantly changing and updating. This doesn’t mean that you need to recreate your core content on a regular basis – instead you should make sure that you’re updating your website with relevant news, new services, case studies, testimonials, completed projects (including images and videos), new hires or additions to your team and anything else that might be pertinent to your organization. Your website should be an ongoing reminder to your users that you’re always evolving, innovating and growing as an organization and it should continue to give them a valid reason to revisit your website. 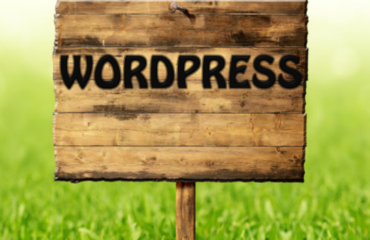 One of the most powerful nurture components your onsite guerrilla marketing strategy has available to offer is your blog. When users subscribe to your blog (or your RSS feed) they give you the ability to continuously “drip” high value, highly relevant information on them with the aim of keeping them continuously engaged and constantly aware of your organization and its potential to meet their need. In addition to your blog, image and video galleries are also extremely high value properties to have and maintain as they give your users the opportunity to see exactly what you do and the specific implementation behind your offering. It’s important that you’re diligent in the upkeep of these properties since an out-of-date gallery can do as much harm as an up-to-date gallery can do good. You don’t want to give users the impression that you’re not continuously working and completing new projects. You have to be alive online! The people you’re trying to engage to are two-thirds of the way to making a choice before you ever even know they exist. As scary as that may sound, there is an opportunity for you to blow away your competition and dazzle your visitors if you’re willing to do the work. Even if you’re not concerned with where you rank organically (which would crush my soul to hear) you still want people who engage with you online to be left with the digital warm and fuzzies. Imagine you’re searching for a new vendor for that “thing” you’ve been meaning to get done. A friend in the industry gives you a few references and you decide to check them out online. When you hit their website, you find a blog that they update regularly with industry news and events, a portfolio of work that features a sample of the recent projects they’ve done for other Clients (complete with testimonials) and the ability to subscribe to their quarterly newsletter to receive updates on promotions and new products. The content on their website is informative and engaging (a lot like what you’re reading now) and they have made the answers to your questions readily available instead of the “contact us for more details” mantra that so many B2B vendors have dedicated their lives to. A small template website (probably built by someone’s nephew) that hasn’t been updated since it was launched in 1997. Their last blog post was in 2012 and the title is “sorry that we haven’t posted in so long”. The language is stuffy and vague and you have no other choice but to contact them directly for more information. Of the two, which one ends up getting your business? Now ask yourself this: of the two, which one do you consider yourself? In addition to the 30 -60 minutes I spend with you each month, I will create some fun and intriguing additions to your marketing plan & calendar that will fill in the gaps. I will also ensure that your website has the functionality that will enable it to participate in the sales funnel. The Guerrilla Marketing Calendar can be daily, weekly, monthly or quarterly – whatever best suits your needs and budget. Keeping a website “up to date” doesn’t necessarily mean you’re posting new content every minute of every day. The goal is to multiply your digital presence over time and give your user the opportunity to learn about your organization and give them the warm and fuzzes. 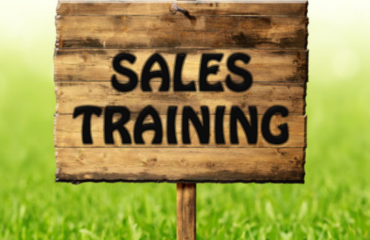 The reason for the lengthy explanation of internet marketing and the sales funnel is for you to get a baseline of what is required to accomplish your goals. Let’s put together a plan based on your monthly budget. A budget will allow me to gauge what we can accomplish and how fast we can accomplish it. I hope this gets your creative juices going… it does me! Do You Have Secret Lead Killers?